Fabulous 4,439 sq. ft. custom built Ranch style home with an open floor plan, cathedral ceiling and all the goodies. Large beautiful kitchen with center island, Sub-Zero refrigerator and separate Sub-Zero freezer plus a Wolf Commercial 6-burner gas cooktop stove and grill, and granite counters, built-in breakfast area and abundance of cabinetry. .Separate "walk-thru" pantry provides additional storage area for those "less frequently" needed items plus additional refrigerator for wine and other beverages. Hardwood flooring throughout. In addition, 5 total bedrooms and 4 1/2 baths. There are numerous other rooms which provider owner with "flexibility" of use areas like, in-law bedroom, office, ironing/sewing area, guest room, etc. The home includes a huge, partially finished basement which provides an additional 1,500 sq. ft. of living area and over another 2,800 sq. ft. for storage. 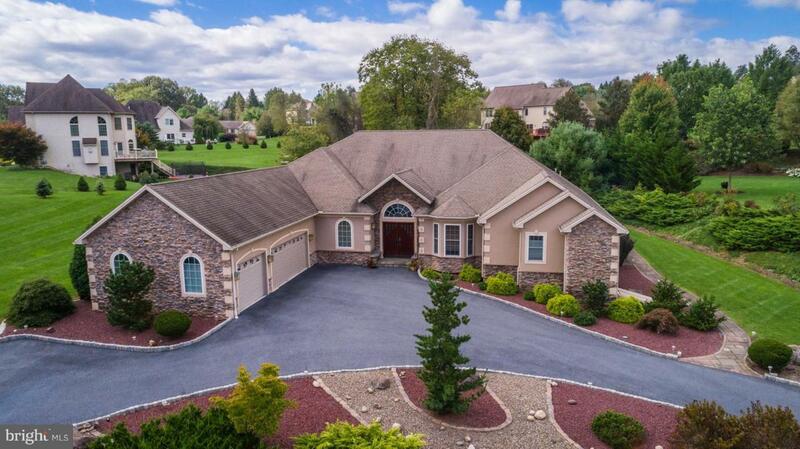 Home is located in the "High Meadows" subdivision on a well landscaped 3/4 acre lot in Lower Allen Twp. Truly a "Must See Home".